Thanks everyone for your support on the last post. Basically Bunny’s reflux meds pooped out, and it was a terrible week. We FINALLY got her new meds today and already the difference is palpable. She’s actually eating without any pain. That’s a huge win right now. In general it’s been a week of Murphy’s Law haunting me. From missing trains, to being LATE ALL THE TIME, to making absolutely stupid mistakes out of sheer exhaustion. I get in the car when I’m short on time, it needs gas, I get to a gas station, the pump doesn’t work, I get to where I need to go, I can’t find parking… On and on. ALL WEEK. 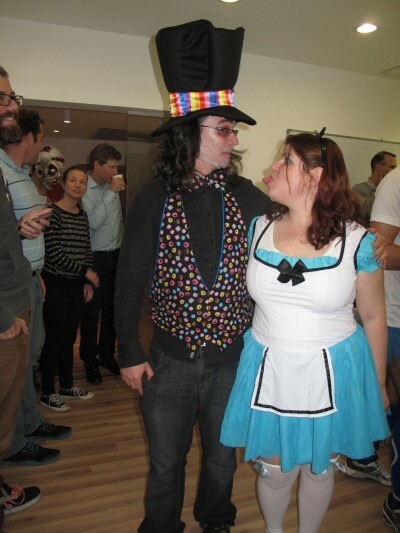 I guess when you start the week as Alice things remain a bit crooked for a while. Bunny being sick brought out ALL THE ANXIETY. Seriously bad. I have a lot to write about this. But not at 2am on a Friday night. I promise to post properly soon. Things have just been nuts. I also somehow managed to fit in apartment hunting this week. Sleep will be welcome this weekend. Alas – we have not found anything yet. But that’s yet another post. You can tell she’s not feeling her best. But she still played along. It’s her first Purim. 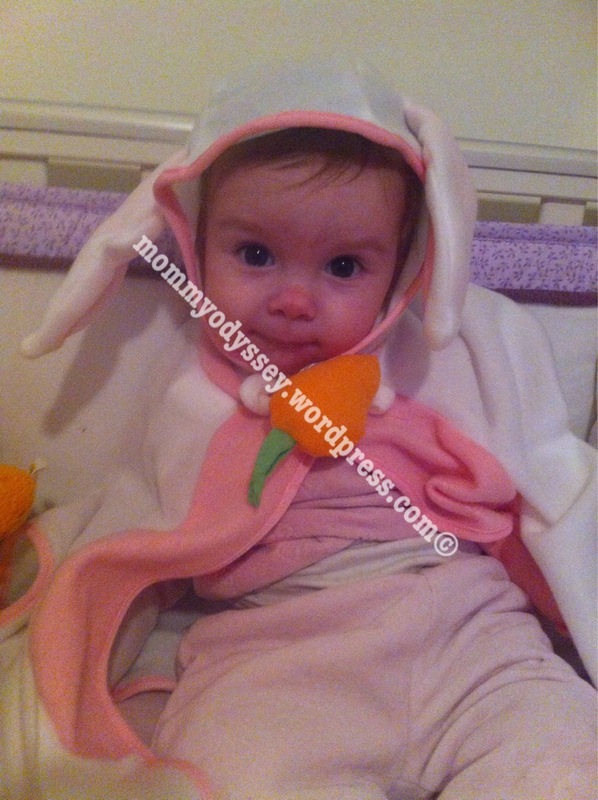 Something would have been wrong had I NOT dressed her as a bunny. Best bunny EVA! Looking forward to what’s been going on, when you have a hot minute. Um, smokin’ hot Alice. The bunny is pretty cute too!